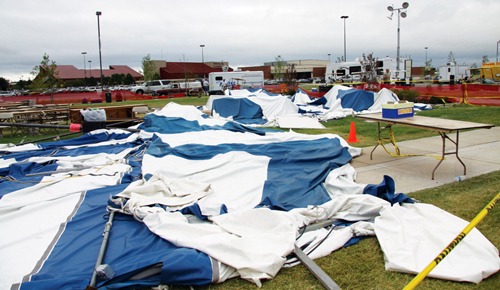 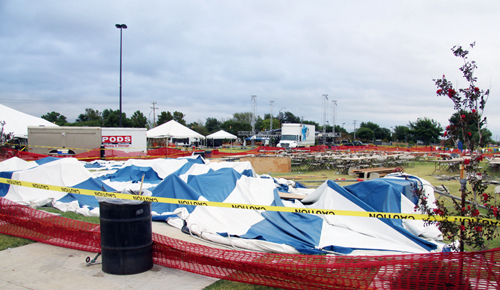 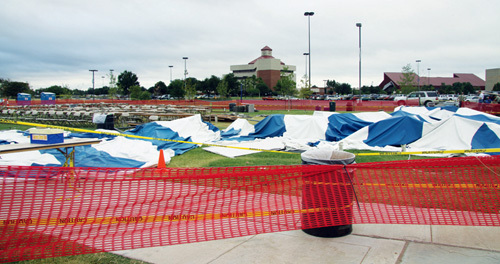 Emergency crews secured the area surrounding the Arts Festival Oklahoma dining tent, which collapsed around 3 p.m. Monday, Sept. 6, on the OCCC campus. 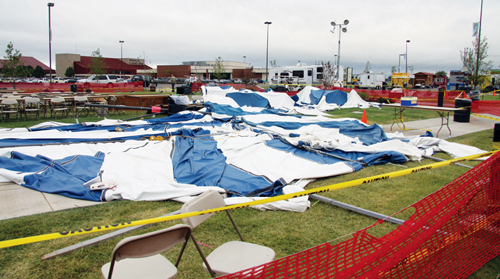 Eight people were injured during the accident, which OCCC President Paul Sechrist says is under investigation. 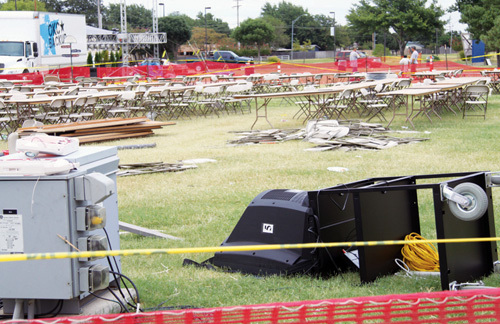 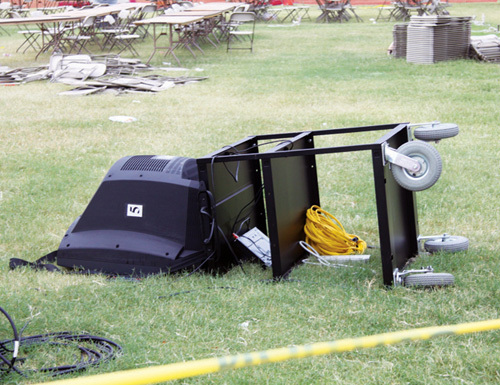 A television sits toppled within the Arts Festival Oklahoma dining tent area Tuesday, Sept. 7, on the OCCC campus. 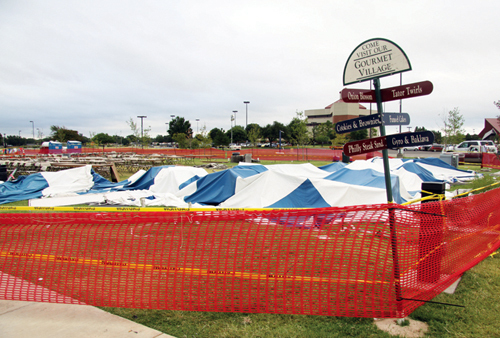 Eight people were injured Sept. 6 when the tent surrounding the dining area collapsed. 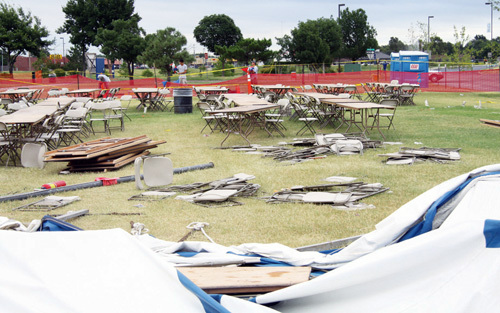 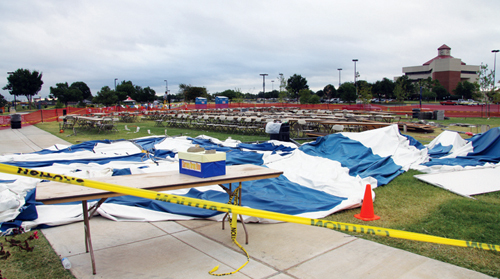 Tables and chairs are toppled within the Arts Festival Oklahoma dining tent area Tuesday, Sept. 7, on the OCCC campus. 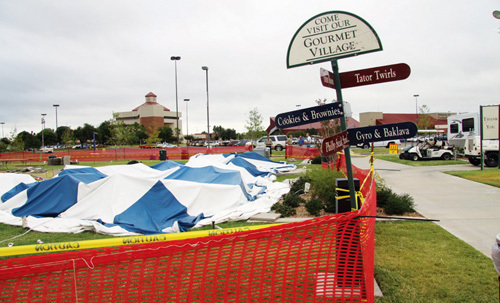 Eight people were injured Sept. 6 when the tent surrounding the dining area collapsed.